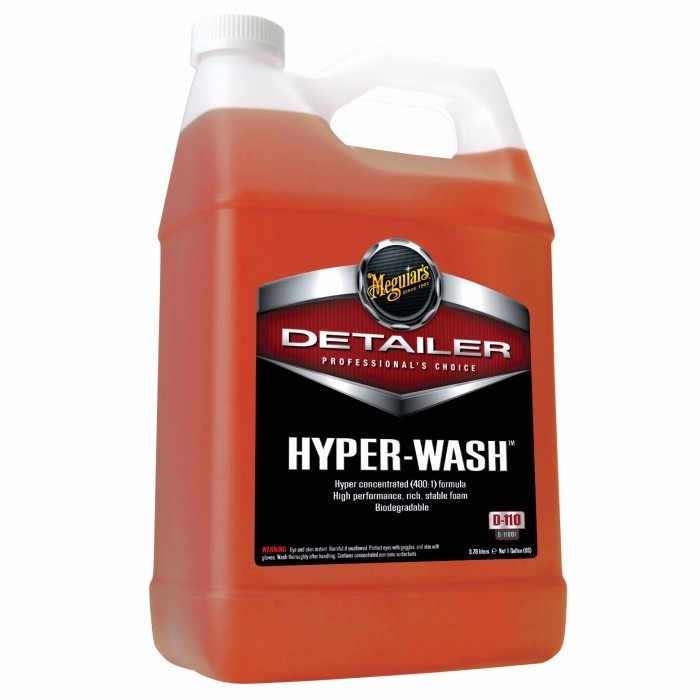 Typical dilution ratios for car wash products are obsolete when compared to the Hyper Concentrated Shampoo. Using innovative technology, Meguiar’s created a product with rich, stable foam for an unbelievable dilution ratio of 400 parts water to 1 part product. Its biodegradable formula removes dirt and dust from surface in a safe, efficient manner. Contrasting the dilution ratio for this shampoo, its cost-benefit is great, with high yield.